FWP can’t emphasize how beneficial the new food plot option could be for upland game birds. 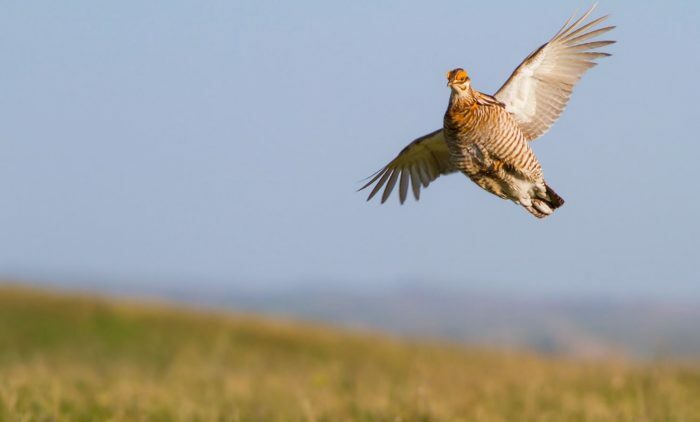 After a winter like the current one, concerns arise about the local ring-necked pheasant and Hungarian partridge populations. Although these non-native species are constantly adapting to Montana’s tough winters, there are extra things you can do to help. One option is food plots. Fish, Wildlife and Parks is now offering free Diverse Cover food plot seed this year for up to two, 5-acre parcels. The mixes contain tall, stiff, drought-tolerant species like sorghum-sudangrass, millet, and sunflowers but also more familiar species like lentils and spring wheat. Local varieties are selected to produce thick, weed-free stands that can handle blowing and drifting snow throughout the winter months. Food plots must be established within a quarter mile of dense cover like shelterbelts, cattails, or wooded creeks. Because food plots are partially paid by upland game bird hunting licenses, participants must allow a limited amount of reservation-style bird hunting access on at least 160 acres of their property during the hunting season. After the hunting season, landowners receive an extra incentive payment of $150 per acre to help cover the costs of not harvesting some cropland that year. If you are interested in trying one of these new food plot mixes, contact a local FWP representative to schedule a site visit. After signing an agreement, participants can pick up the packaged mixes in May. The new food plot option is administered regionally through the Upland Game Bird Enhancement Program. The UGBEP assists landowners with the costs of managing wildlife habitat while also encouraging conservation funded by sportsmen.